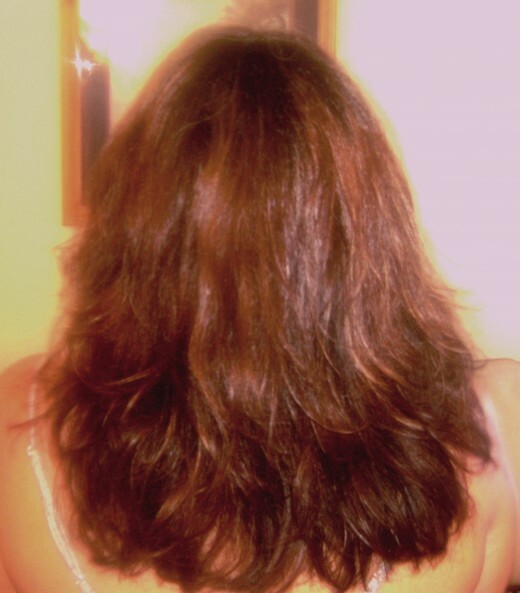 Brazilian Keratin Treatment Instructions : For glossy, straight hair! Anybody who tells you that it’s too complicated to do the Brazilian Keratin Treatment (BKT) by yourself at home must work for a salon. They want you to fork over $300 - $600 for them to do something that you are completely capable of doing yourself. Now, if you're loaded with money and can afford to do that kind of thing, then by all means, go for it! But most of us would willingly save that kind of money and just do it ourselves. You may think it's a bit extreme to call this a life-changing treatment, but think about it...how many hours do you spend every single day battling frizzy, curly or wavy hair. If it's super curly, you probably apply gobs of product to fight frizz and puffiness. Wouldn't it be AMAZING to be able to blow-dry your hair & have it lay flat all by its self, with minimum styling?! Think of all the time and frustration you will save yourself. The dream of having soft, shiny, straight hair is what brought me to try this treatment. Results last for 2-3 months. 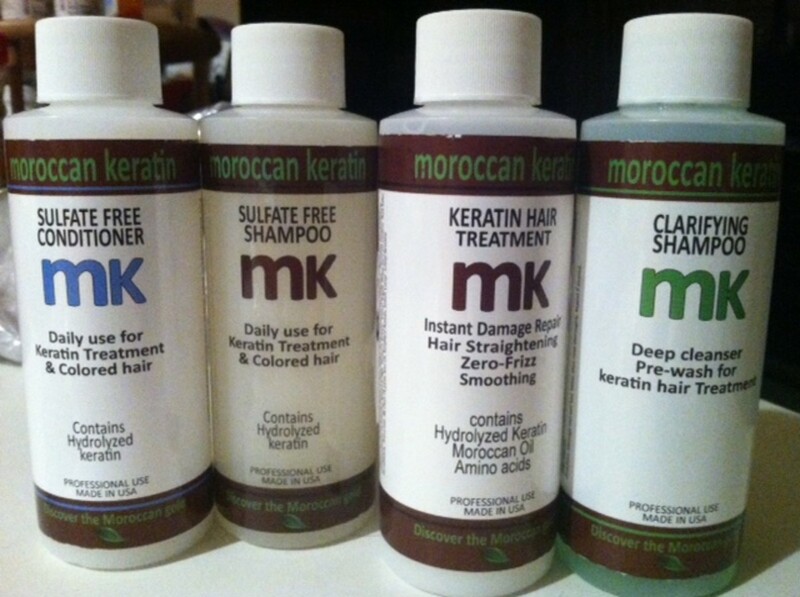 I purchased mine, called Moroccan Keratin Treatment, on Ebay for $38. It came with four 4oz bottles, which included the clarifying shampoo to use in Step 1, the Keratin Treatment for Step 2, and the sulfate free shampoo and conditioner for after care. When the application process is complete, you cannot wash your hair for 3 full days. This time frame allows the keratin to sink into hair strands completely. The actual Keratin treatment contains Formaldehyde and Argan Oil – which are two very effective ingredients for straight, shiny hair. I don’t think any retail stores in the USA sell the keratin treatment with Formaldehyde, so I would suggest looking online for suppliers. I found mine by typing "Moroccan Keratin Treatment" into Ebay. There, you can browse different sizes and types. Does the Brazilian Keratin Treatment Need Formaldehyde to work? 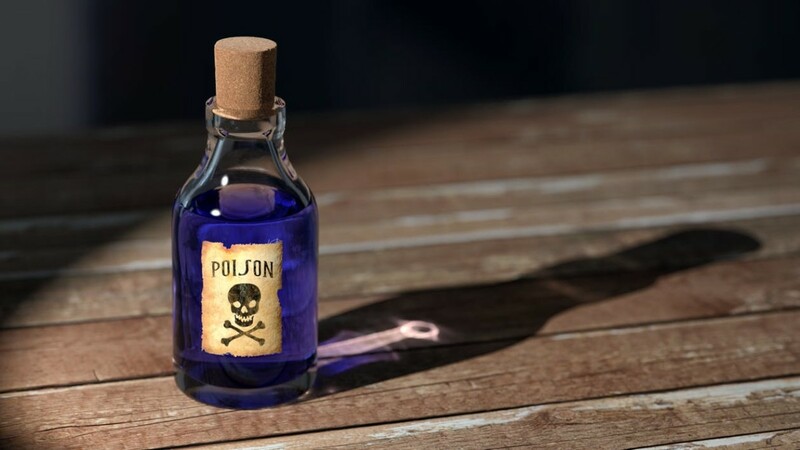 Not technically, but if it does have Formaldehyde, it will last longer. Most Keratin Treatments that are sold in the US do not contain Formaldehyde. 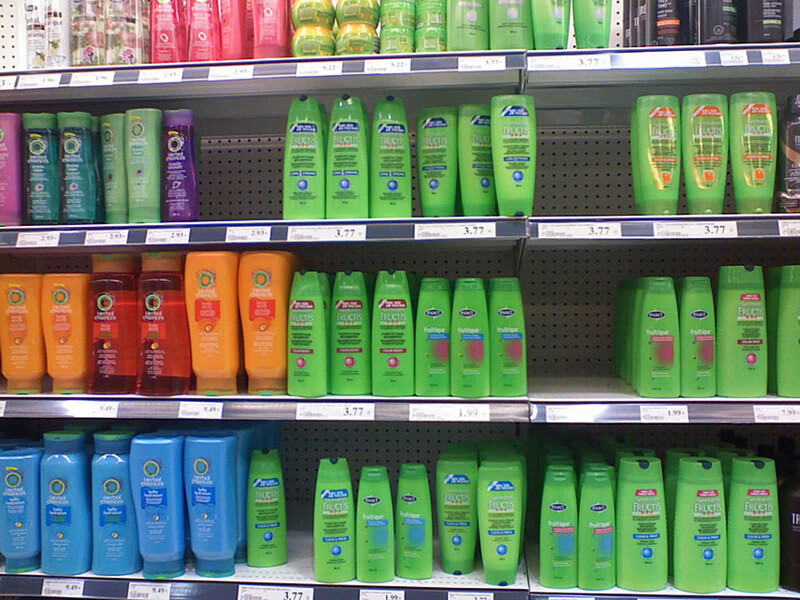 Although high concentrations of the chemical are found in just about pieces of furniture, window coverings & carpeting, the FDA has banned its use in hair products sold in stores. If you buy a Keratin Treatment without Formaldehyde, the results will only last from 2-4 weeks. If you want longer lasting results, for 2-3 months, order a Keratin Treatment online that does contain Formaldehyde. Clarifying shampoo to remove debris and styling product from hair. This usually comes with the kit, but if not, just buy a clarifying shampoo at the drug store. 2oz - 6oz of Brazilian KeratinTreatment depending on length of hair. 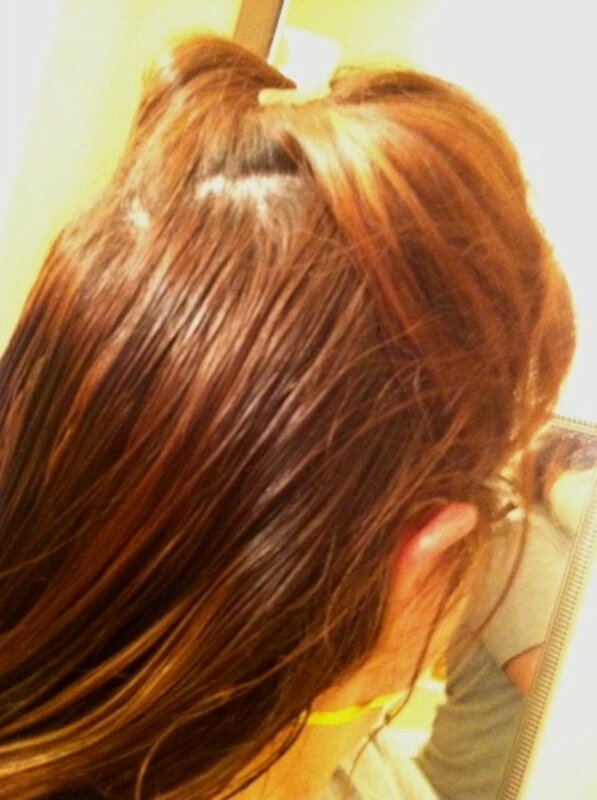 My hair is just below shoulder length, and very thick, so I used the about 2.5 ounces of solution. It's always better to have too much than too little. You can always use leftovers for your next treatment. A straightening iron that heats up to at least 400 degrees (preferably 450 degrees) and is between 1" and 4" wide, depending on your personal preference. I used a 2" wide iron by Babyliss that heated up to 450. A mask - usually comes with the kit, but if not just buy an anti-dust mask or surgeon's mask. They can be found at hardware stores near sandpaper/saws. Some fumes are released as you use the straight-iron on your hair, so this prevents you from breathing in too many chemicals. A blow dryer with both medium and high heat settings. Plastic gloves to protect your hands during the Keratin application. Butterfly Clips to hold upper sections of hair in place while you straighten the under-layers. Plastic Bowl (optional) to pour Keratin treatment into for ease of application. A wide-tooth comb to remove knots after shampooing and also to distribute the Keratin Treatment through your hair & remove excess. A snug shower cap (for the 3 days when you need to shower, but can't get hair wet). Remember, beauty does not come easy! Get ready for a somewhat lengthy process - I have just below shoulder length hair and the entire event took me about two hours. Although, thinking of how many hours I've spent battling my hair in the last year (probably a total of about 300 hours! ), 2 little hours pales in comparison. Also, after the treatment has been applied, you cannot wash your hair for 3 full days. Before you begin, make sure you're comfortable and have enough time to complete the whole process without taking short-cuts. The treatment does produce some fumes as you straight-iron your hair, so make sure you apply it in a well ventilated room, or outdoors. In this article, I'll walk you through the steps and what the hair looks like during every step of the process. Scrub your hair using the clarifying shampoo. Remember, this is going to be the last time you will wash your hair for 3 days, so make it count! I lathered, rinsed, then repeated to make sure my hair was squeaky clean. 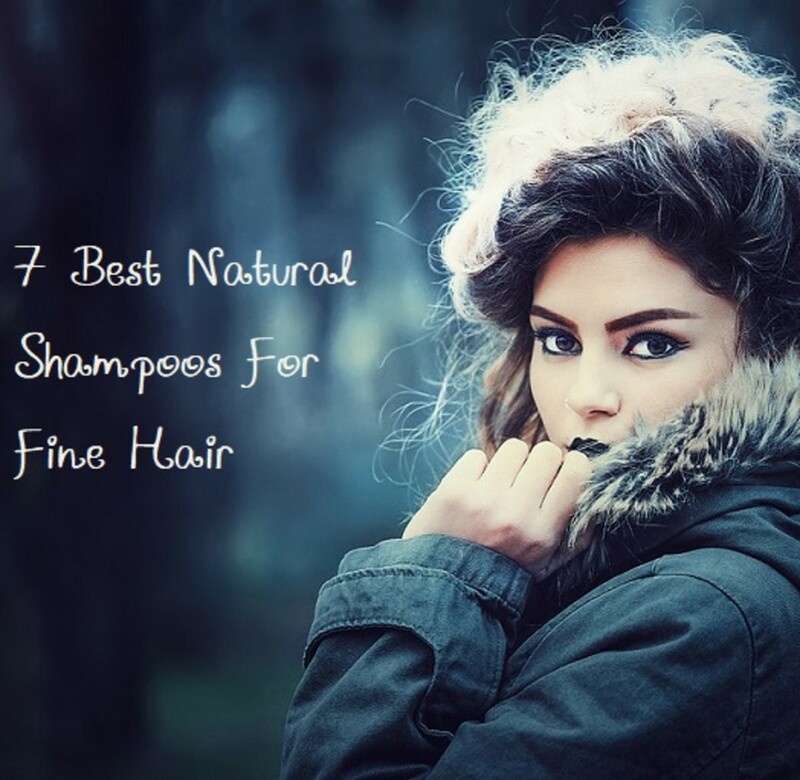 Clarifying shampoos typically remove every bit of product and residue from your hair, so after rinsing, your hair will actually sound squeaky when you rub it, and will probably be a tangled mess. DO NOT use any conditioner after you shampoo. You want the hair to be porous to absorb the keratin treatment. To remove knots and tangles, gently use the wide-tooth comb to gradually separate and untangle hair. If you have a particularly stubborn knot, rub the center of it with your thumb and fore-finger to loosen the hair, then gently un-knot using your fingers. Once all knots are removed, comb through one last time so that hair is smooth and tangle free. **TIP** For someone with especially long and/or curly hair, it might help to wash in sections. Use a giant butterfly clip to separate hair into 4 sections and shampoo/comb each section separately. If I had a problem with knots on shoulder-length hair, I can't imagine the problems that someone with long hair may encounter. Dry hair completely using a blow-dryer set on high heat. Make sure hair is thoroughly dry before moving on to the next step. I dried my hair for about 8 minutes, then sat around for another 10 minutes only to find that it wasn't completely dry. I went back in and dried it for 5 more minutes until there was no moisture left. Comb hair with wide-tooth comb, again removing all knots and tangles. Hair will probably be puffy and straw-like, but not worry - that's all about to change! Using large butterfly clips, separate your hair into 3 sections (pin up both sides & most of the back), leaving the bottom section of hair hanging down. Put on your plastic gloves. 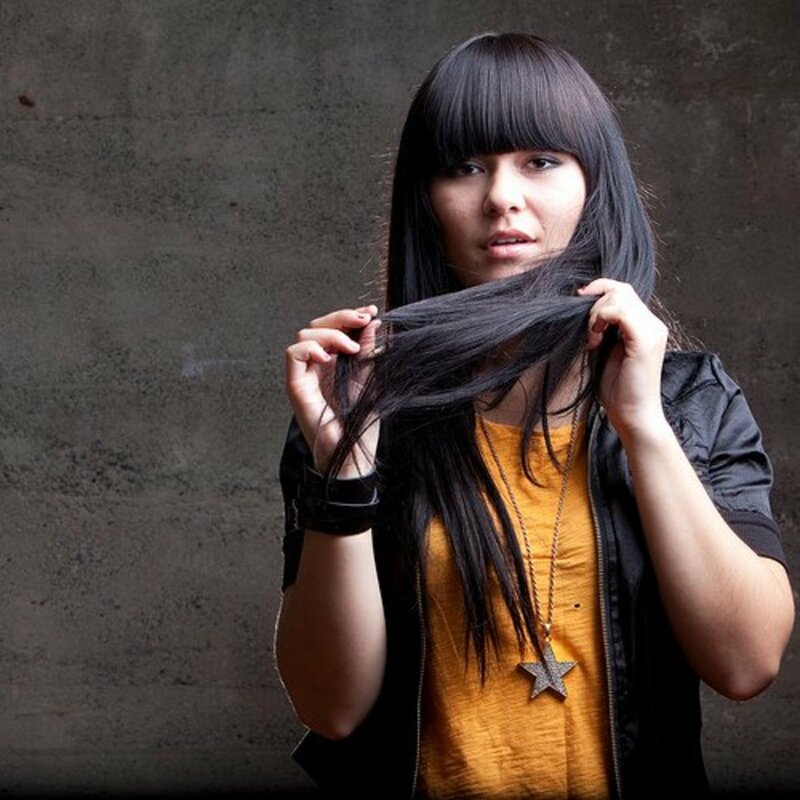 Empty the Keratin Treatment into a bowl and scoop out a small amount to apply to the sections of hair that are hanging down & not clipped up. Apply the keratin to the upper middle part of each section, then distribute it downwards & upwards, until the entire section of hair is coated. Rake through the strands with your fingers to ensure that all hair in the section is thoroughly coated. I'd suggest using a small amount to start so you don't run out. You can always go back and re-coat the strands once your entire head of hair is coated and you have left-over product. You want the hair to be fully coated, but not sopping wet with the treatment. If you feel that you've applied too much product, comb through with the wide-tooth comb to remove any excess. Hair should be saturated with product, but not so wet that you see globs of the product on your strands. The first part of this step is to put on your mask! You can either keep your gloves on or remove them. I removed them because the latex kept sticking to my hair when I was trying to run my fingers through it during the drying process. 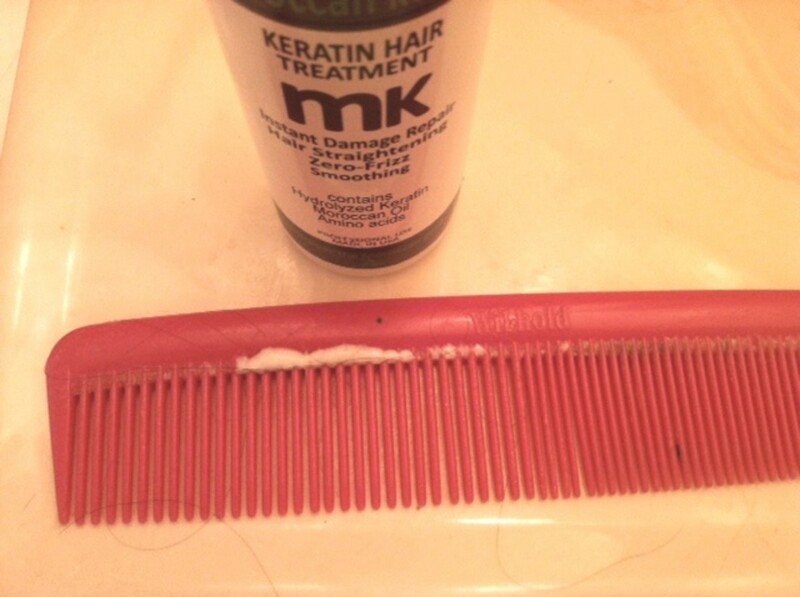 For Step 5, completely dry the Keratin Treatment that you just placed in your hair. 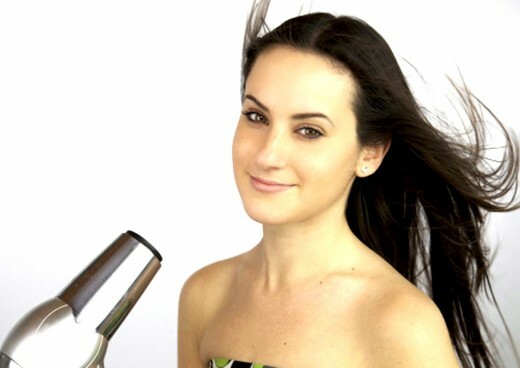 Using a hair dryer set to high speed, but medium heat, blow dry using either your hands or a vented brush to rake through and lift hair as you dry. DO NOT flip your head upside-down to dry the under layers - the fumes will be too strong, seeing as how the hair will be flying into your face. If are having trouble drying the under-layers, use a butterfly clip to secure the top sections of hair while you dry underneath. Once hair is COMPLETELY dry, wait 10-15 minutes before proceeding to the next step. Now you're finally ready to begin straightening! Comb your hair again, one last time to make sure there are no tangles or knots. Your hair will feel very dry, frizzy, and sticky from the Keratin. Section hair into the large butterfly clips, the same way you did in Step 3. To start, you want just the very bottom layers to be hanging free. Make sure your iron is hot, and that the temperature setting is no lower than 400 degrees. Apply a mask before you begin straightening! The actual straightening process is when strong-smelling fumes develop, so make sure you have windows/doors open for ventilation. I prefer to set up the mirror & straightening iron outside, so I don't have to worry about fumes at all. Starting with the front portions of hair that are hanging down, begin straightening in small sections (no bigger than 2 inches wide). Go over each section with the iron at least 5-7 times. It helps to have access to a double-mirror so you can see the results on the back of your head. If you don't have one, just use a hand held mirror to look into while you stand facing away from your main mirror - this will allow you to view the back of your head & make sure everything is straight. Continue this process (gradually releasing hair sections down from the butterfly clips) until your entire head of hair is straight. Be careful when straightening your bangs - hair gets very hot. When hair is released from the iron & falls against your forehead - ouch! When straightening my bangs, I tilted my head all the way back before releasing from the iron. By using this method, the bangs will fall back onto the rest of your hair, rather than on your forehead. Congratulations! You've completed the BKT treatment process. This is how your hair will look for the next 3 or 4 days. It will look kind of dull and waxy, but will be perfectly straight. If you can stand to go 4 days without shampooing, then by all means, do it - but never shampoo before the 3 days are up. The natural oils in your hair cause the Keratin to settle deeply into the strand cuticle and this is what makes the treatment last. Wear a shower cap to prevent hair from getting wet during the 3 days. If hair should accidentally get wet, dry with blow-dryer and then re-straighten. You may also find that hair gets bent or wavy while you sleep. If this happens, just re-straighten those sections when you wake up. After the 3 or 4 days are up, you can wash your hair with any type of Sulfate-Free Shampoo & use your regular conditioner. It will feel SO good to finally wash your hair! Even though I’ve done this treatment about 5 times over the last few years, I’m always amazed at how shiny and straight my hair is afterwards. For the 3 months the treatment is active in my hair, I only use half the amount of conditioner I used to need, and hardly any styling products. After blow-drying, I just spray with a fine mist of Dove Flexible Hold Hairspray, to keep static down. Before the BKT treatment, it would take about 15 minutes to get my hair this straight and shiny, but now all I have to do is blow dry it. Brazilian Keratin Treatment drastically cuts down on styling time! DON'T do this a day or two before a special event! 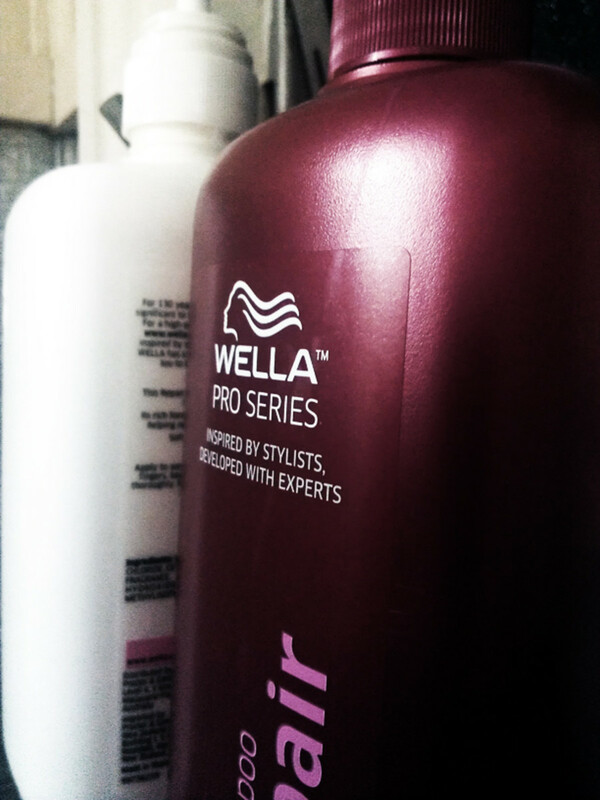 (The product leaves hair rather filmy & greasy until it can be washed 3 days after applying). DON'T take short-cuts or rush when ironing your hair. If you've gone over each section of hair 4 or 5 times, go over each one again an additional 3 times or more, even if your hair already looks really straight. This ensures the keratin seals onto hair. 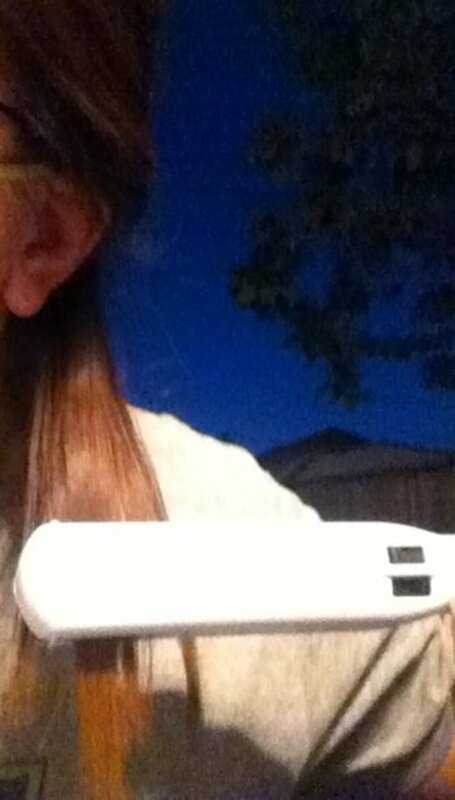 DON'T use a flat iron under 400 degrees. Keratin will not seal onto hair, and results will last less than a month. DON'T use any shampoo/conditioner/styling products that contain Sodium Chloride (Sulfates) as part of your after-care routine. Sulfates strip the hair shaft and will remove the Keratin. 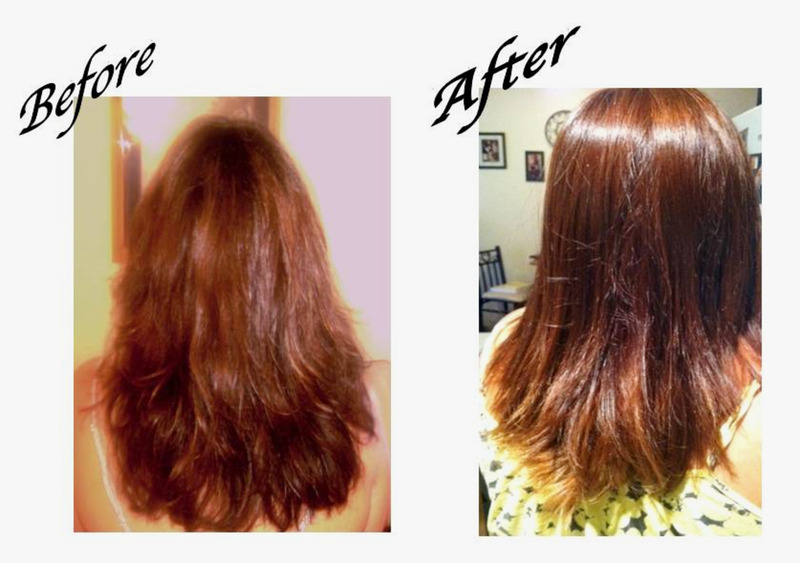 DO color hair before (NOT after) using the Keratin Treatment. Color adheres much better to damaged, dry hair than it does to hair that has been sealed with Keratin. Your results will last longer if coloring is done at least a few days before the Keratin Treatment. DO complete this process in a well-ventilated room. Keep bathroom door & window open, and/or use a fan that blows to the outside. Alternately, you can apply the Keratin outdoors. DO relax and take breaks if your arms get tired from all the straightening. There's no time limit, take as many breaks as you need in order to do a good job! DO be prepared for your hair to be stick-straight and drab looking for 3 days. After you shampoo, it will go back to it's lively, fluffy self. DO re-iron your hair every morning after waking up. Your hair gets bent into strange positions while you sleep, you don't want it to stay that way! DO dry and re-iron your hair if it gets wet from rain, showering or sweating during the 3 day period. DO remember to wear your mask when re-ironing your hair during the 3 day period. 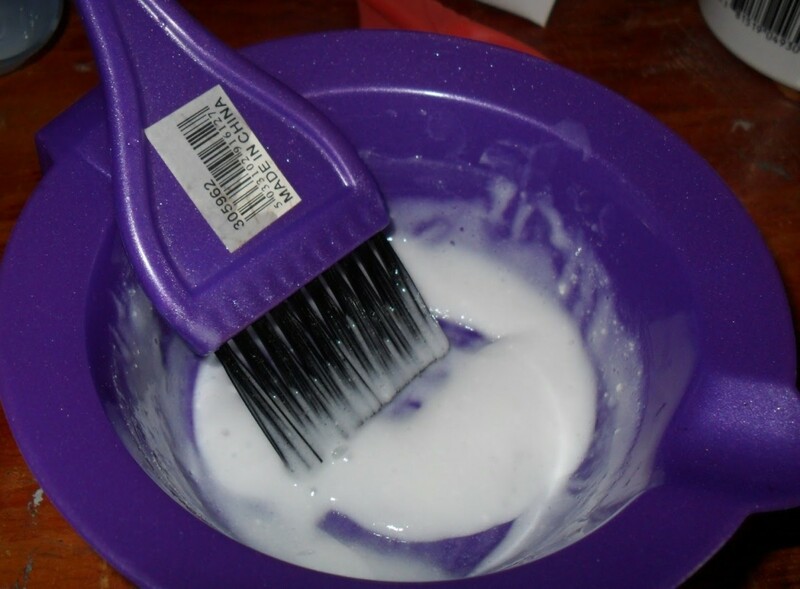 The fumes are still strong until the mixture is washed from your hair. DO allow at least 3 full days before washing your hair. DO enjoy your new head of silky, soft STRAIGHT hair! Try to wash your hair only every other day. The natural oils in your hair make the Keratin Treatment last longer. 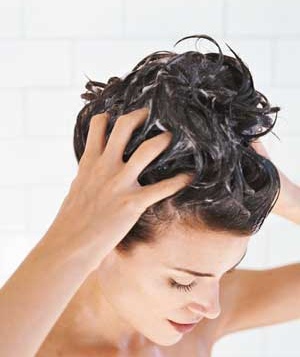 If you shampoo your hair every single day, the treatment will last around 2 months. However, if you shampoo every other day or less often, it should last 3 months. Avoid frequent visits to swimming pools. 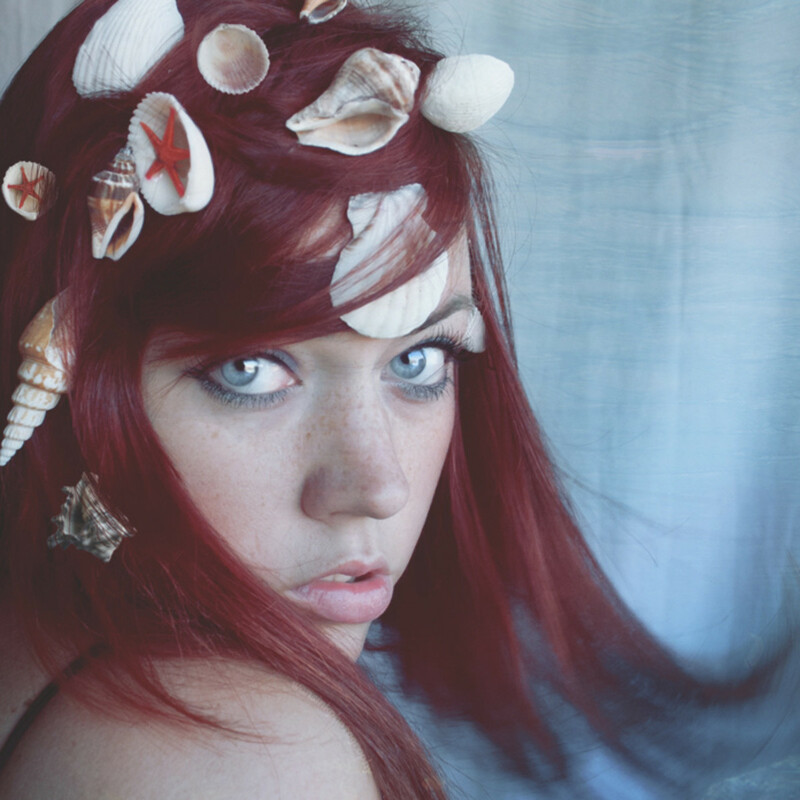 The chlorine removes the Keratin from your hair. Swimming occasionally is fine, but if you swim daily, wear a swim cap or the treatment won’t last longer than 1 month. Remember to use only Sulfate Free Shampoo. You’ll probably also need some new styling products - if you need to use any at all. Doing this yourself at home saves some big bucks. Smooth, shiny, silky hair that feels as though it was never touched by color, perms, bleach, or the elements. It's like having virgin hair again, and I can't help but run my fingers through it just to enjoy the fact that it's no longer a tangled mess. STRAIGHT hair that you won't have to battle with every morning! I can't even tell you how sick and tired I was of trying to tame my hair every single day. I had finally given up and decided to leave it wavy. It always looked somewhat out of control, because I was sick of frying it with the hot iron in the morning, only to be left with a semi-straight frizzy mess. This has completely fixed the problem. Now, I only need to go over a couple of out-of-place strands in the morning for a perfect, fast style. No frizz at all. And I do mean NO frizz! Immediately after drying with my blow-dryer my hair is silky, soft and frizz free - with no need to apply gobs of styling products to create soft shining tresses. The fumes were a bit strong when I first started straightening - especially as I straightened the hair closest to my face. My nose felt like it was burning inside and my eyes watered a little bit. This passed after a couple of minutes, but if it's too strong for you, take intermittent breaks when straightening the hair near your face and keep your head tilted back as you straighten. This will cause the fumes to go backwards, rather than forwards towards your face. Some sections of my hair are still a little bit wavy. However, I think this is largely due to human error, and not to defective product quality. I should have ironed the more stubborn wavy parts of my hair a few more times. How long after putting on the Keratin treatment can we start blow-drying our hair? You can dry your hair immediately after applying the treatment - there's no need to wait a specified amount of time. What if I leave in the Keratin for only a few hours as I have a 9 month baby? Does the hair stay straight after (3 days )washing it?? (Without using flat iron or blow dry)??? Does the hair stay straight after (3 days) washing it (without using flat iron)?? Thank you for taking the time to post such detailed instructions and tips. I just did it! Excited to see how my hair looks in 3 days. Someone gifted me with 3 onces of Brazilian keratin treatment, hope to find later on eBay or Amazon. Anyway, just want to say: You rock! I have had my Brazilian/keratin treatments about 6 times within a span of 3 yrs. The only time my hair really got shiny and healthy was after the first time I had them done in the Philippines. The rest of the time that was done in CA left my hair still dull. I used to have medium thick strand Asian hair but being in my late 50's now, they have become thinner than how they used to be. Could it be because Asian hair needs a more aggressive or longer treatment? Thank you! thank you so much, I will try it this weekend, how long do I need to do the treatment again to keep my hair looking healthy? thank you again. i got rebonded it was 8months ago, but i want to try brazilian treatment because my hair becomes curly again on the top while still flat but dry downward. it is ok if i did this even i already had rebond hair? thank u so so much!! i just did keratin last night and was super worried because my hair feels kinda sticky and tangly but now i know that is normal the first three days! thank u!! Thank you SO very much for sharing clear, thorough instructions for DIY Keratin treatment - you increased valuable information, the Do's & Don'ts but also in every step. My hair is thick, a bit past my shoulders with a slight wave (it is colored & highlighted). Do you think the amount you purchased in the kit you use will suffice for me, or do you think I should purchase a larger size. Can't thank you enough! Hi there, I'm so interested in buying the treatment for my hair! Now on eBay I am looking for it. I wanted to know if you have the seller username that you bought it from that came with the full set to do the hair? Thank you so much!! Is there any sort of odor /smell on your hair once you've waited the three days and washed it? @ Robyn - in my experience it works great on fine hair! After I started doing the treatment on my own hair, a few friends followed suit. One has hair so fine it almost feels like baby hair. It smoothed hers out perfectly (and in about half the time it took mine). Her results also lasted longer than mine, so you should have success with the treatment! I have very cury but thin fine hair. Do you know if this would work on my hair? @ Merima - I added the Ebay link toward the top of the article. That's the one I purchased. Otherwise, just type "Moroccan Brazilian Keratin Treatment" into the Ebay search and it should come up with several. I don't believe many USA sellers have them, but this one is from Florida so shipping only takes about 6 days. I've yet to find this in beauty supply stores, so always buy on Ebay. Hope it works well for you!! @ KK ... sure, curls are great too! Some women just like to switch between curly and straight a few times through the year. I have natural waves, but find that my hair is SO much easier to style when I use the keratin treatment. @Keira...This process actually sealed my split ends & eradicated them. However, my hair is coarse and strong, so I can't speak from experience on how it would work on weak hair. When I used it, my hair was a bit fried from bleaching & highlights...and the keratin treatment didn't damage it. If you're curious, just purchase a small amount (which you can usually do on Ebay) and test on a few small sections of hair to see how it reacts. I have really weak hair, does this process cause split ends or fried hair at all? Wow. That seems dangerous to expose yourself to the chemicals just to have straight hair. What's so bad about having curls?? ?